Items that are no longer of use to you can often be reused by others. Numerous local charitable organizations accept a variety of donated items. You can also donate food items. 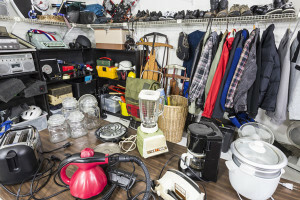 Accepts clothing, books, small furniture, small hand tools and small appliances. No large appliances or mattresses. Accepts used home and office furniture. No mattresses or box springs. Accepts anything working and in good condition. Free pick-up available. Accepts furniture, small appliances, clothing, books, tools, and home goods. There are 13 donation centers in Arroyo Grande, Atascadero, Cambria, Los Osos, Morro Bay, Nipomo and San Luis Obispo. Call for the donation center nearest you. Free pick-up available. Accepts surplus and gently used building materials. Call for large donations. Tax-deductable. Accepts household items, small furniture, small appliances, clothing, and books. Accepts furniture, small appliances and clothing. Free pick-up available. Accepts small furniture and appliances, clothing, toys and computers. Accepts prepared food, coffee, cereal, toiletries and blankets. Accepts all unopened food items and produce, excluding homemade items. Located in the rear building. Accepts non-perishable food. Use back door for drop off.